California’s net neutrality bill, S.B. 822 has received a majority of votes in the Senate and is heading to the governor’s desk. In this fight, ISPs with millions of dollars to spend lost to the voice of the majority of Americans who support net neutrality. This is a victory that can be replicated. ISPs like Verizon, AT&T, and Comcast hated this bill. S.B. 822 bans blocking, throttling, and paid prioritization, classic ways that companies have violated net neutrality principles. It also incorporates much of what the FCC learned and incorporated into the 2015 Open Internet Order, preventing new assaults on the free and open Internet. This includes making sure companies can’t circumvent net neutrality at the point of interconnection within the state of California. It also prevents companies from using zero rating—the practice of not counting certain apps or services against a data limit—in a discriminatory way. That is to say that, say, there could be a plan where all media streaming services were zero-rated, but not one where just one was. One that had either paid for the privilege or one owned by the service provider. In that respect, it’s a practice much like discriminatory paid prioritization, where ISPs create fast lanes for those who can pay or for other companies they own. ISPs and their surrogates waged a war of misinformation on this bill. They argued that net neutrality made it impossible to invest in expanding and upgrading their service, even though they make plenty of money. Lobbying groups sent out robocalls that didn’t mention net neutrality—which remains overwhelmingly popular—merely mentioned the bill’s number and claimed, with no evidence, that it would force ISPs to raise their prices by $30. And they argued against the zero-rating provision when we know those practices disproportionately affect lower-income consumers [pdf]. There was a brief moment in this fight when it looked like the ISPs had won. Amendments offered in the Assembly Committee on Communication and Conveyance after the bill had passed the California Senate mostly intact gutted the bill. But you made your voices heard again and again until the bill’s strength was restored and we turned opponents into supporters in the legislature. In the middle of all of this, the story broke that Verizon had throttled the service of a fire department in California during a wildfire. During the largest wildfire in California history, the Santa Clara fire department found that its “unlimited” data plan was being throttled by Verizon and, when contacted, the ISP told the fire department they needed to pay more for a better plan. Under the 2015 Open Internet Order, the FCC would have been able to investigate Verizon’s actions. But since that order’s been repealed, Verizon might escape meaningful punishment for its actions. The story underscored the importance of FCC oversight and its public safety implications. On August 30, S.B. 822 passed the California Assembly and then, on August 31, it received enough Senate votes to continue to the governor. With the governor’s signature, California will have passed a model net neutrality bill. California’s fight is a microcosm of the nation’s. Net neutrality is popular across the country. The same large ISPs that led the fight against it in California are the ones that serve the rest of the country, a majority of which don’t have a choice of provider. The arguments that they made in California are the same ones they made to the FCC to get the Open Internet Order repealed. The only thing preventing what happened to California’s firefighters from happening elsewhere is Verizon saying it won’t. 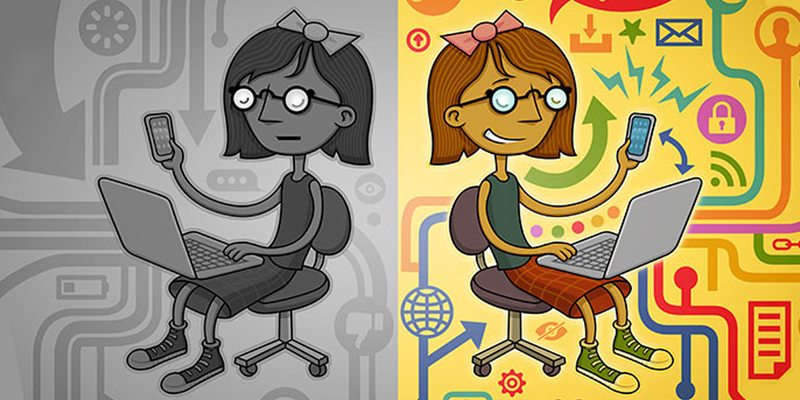 We need to net neutrality protections on as many levels as we can get them. And Congress can still vote to restore the FCC’s 2015 Open Internet Order. In fact, the Senate already did. So contact your member of the House of Representatives and tell them to vote for the Congressional Review Act and save national net neutrality protections. Californians, tell Gov. Jerry Brown to sign S.B. 822.